I know this seems like a whole lotta crap, but this is Purim, or as I am from now on referring to it, Jewish Halloween. Big E also rummaged through a ball pit, think Chuckie Cheese, and bounced himself silly in no fewer than five bouncy houses at our synagogue's Purim carnival. It was a wild and crazy night for that little Yoyser. Which is why it may come as no surprise that this kid was sawing logs a mere two seconds after I buckled him in his car seat. Oh what to do, what to do?! Do I just throw him in bed? Do I let him spend the night in the big red bus? They do that in the commercial, by the way. Normally I WOULD just throw him in bed, but this kid is seriously disgusting. Think about all the germs he has accumulated on his food/play bender. Think about the melted ice cream that ran down his hands and then crusted and dried between his fingers. Think about the boogery kid wiping his face all in the ball pit. I snap myself out of it before I fall down the germ abyss. Deep breaths, Mrs. Yoy, deep breaths. I've had my GERMERVENTION, so I'm much less insane when it comes to germs. Thanks to airplanes and cheerios for that! But I still felt anxious about the thought of putting him in his bed unbathed. I sat at the bottom of the stairs and peered into the dark garage. I could see nothing. I could hear him snoring. I was tired. Why won't someone make this decision for me? After talking myself down from letting him sleep overnight in the car, I unbuckled his limp body and carried him upstairs. As a compromise, I took off his ball pit, bouncy house clothes and put on his jammies. Big E lay on the floor like a rag doll. Half sleeping, half talking about how tired he was. I took a deep breath and threw him into bed with the promise to burn his sheets and related bedding in the morning. I said I'm much less insane, but I'm not completely cured. 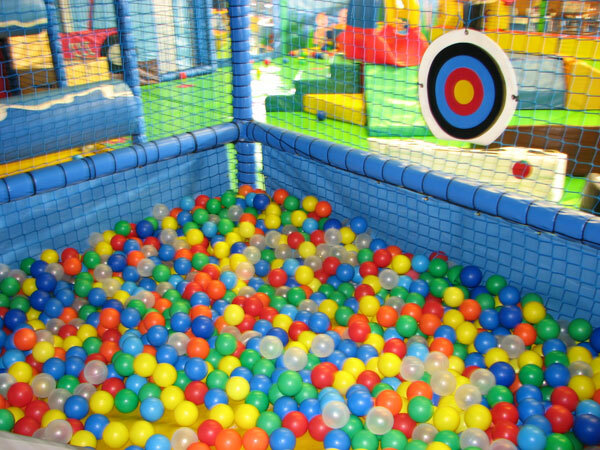 The Ball Pit: Behind Walmart, the dirtiest place on the planet.